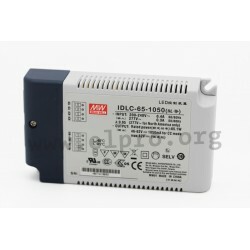 These power supplies in plastic enclosure with built-in dimming function (external voltage 0 to 10V DC, 10V PWM) are characterized by a flicker free design and are protected against short circuit by hiccup mode (re-power on). Furthermore, the devices have got a built-in active PFC function, aconstant current and are suitable for LED lighting and moving sign applications. The LED-switching-power-supplies conform insulation class II, EN61000-3-2, Class C, EN55015, EN61347-1, EN61347-2-13 and EN61547. 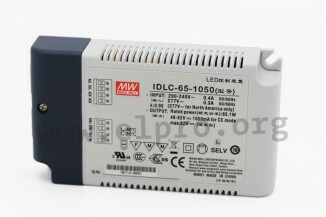 We are offering the following types by Meanwell: IDLC-65-700, IDLC-65-1050, IDLC-65-1400 and IDLC-65-1750.